Diana is also an accomplished soprano soloist. During her undergraduate degree at Wilfrid Laurier University, she completed a double major programme in Piano Performance and Voice, studying with Patricia Pascoe and Kimberly Barber. She went on to continue her voice studies at the Royal College of Music in London under the direction of Roderick Earle, noted baritone of the Royal Opera at Covent Garden. During her formative years, Diana studied extensively with Jose and Irena Hernandez as well as Elizabeth Kellogg. She has performed the leading roles in productions of Amahl and the Night Visitors (both Amahl and the Mother), Hansel and Gretel(Gretel) and Peter Pan (Peter). 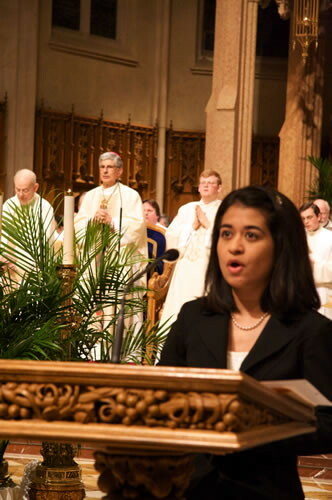 Diana continues to use her vocal talents and serves as a cantor at St. Pius X in Brantford and in the Roman Catholic Diocese of Hamilton where she sings at major diocesan celebrations including Episcopal and Priesthood Ordinations. 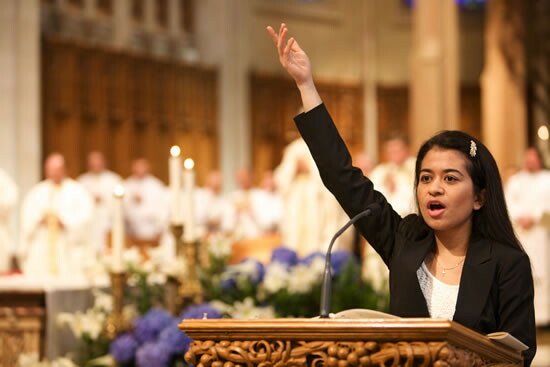 She can also be regularly heard on the nationally televised, Daily Mass, produced by the National Catholic Broadcasting Council.